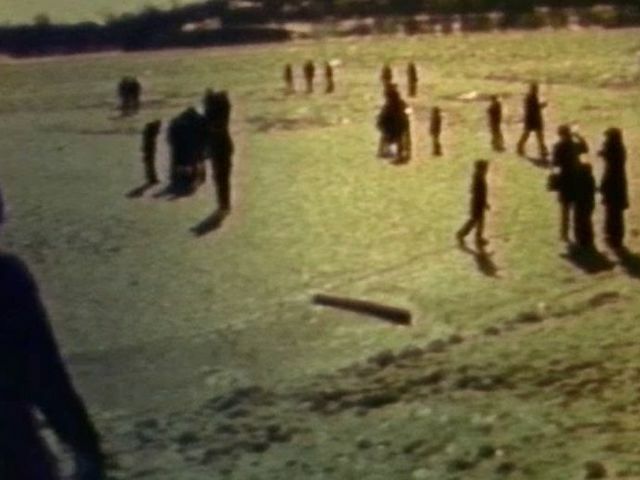 > WATCH video from the Blizzard of '78 above and the frozen Ohio during the Winter of '77 below. 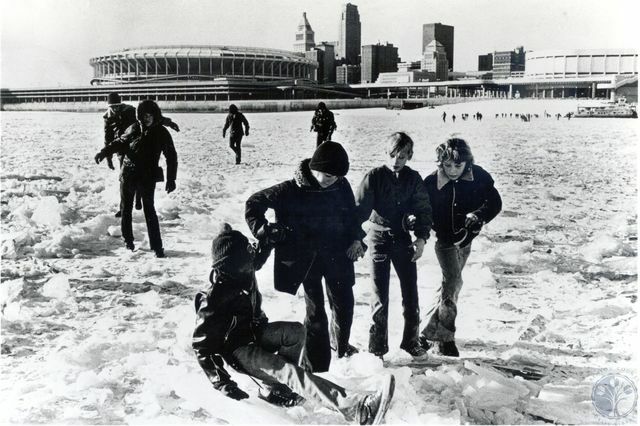 CINCINNATI - Record cold in 1977. Record snow in 1978. 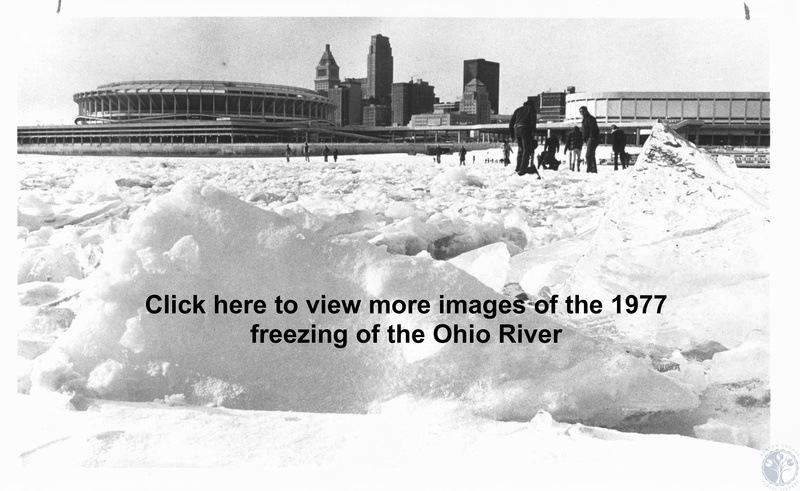 The Ohio River froze in '77. A crippling blizzard hit in '78. For two straight years, it was Elsa, Mr. Freeze and Old Man Winter against the Tri-State, and winters have never been harsher. If you lived through those two historic seasons here, you probably have a story to tell. Maybe you were among the hundreds who walked across the river in '77. Maybe it took you days to dig your car out of the snowdrifts that rose to 9 to 12 feet during the Blizzard of '78. Like every winter since, every winter to come will be compared to those back-to-back blasts of frigid cold and snow that crippled the region. In each year, the biggest events happened in January. > Minus 25 on Jan. 18. The temperature stayed below zero for 58 straight hours. Pipes burst and car batteries died. That's also when the river froze for the first time since 1958 and only the 13th time in recorded history. The river stayed frozen for six days - Jan. 18-23. The ice was estimated to be 6 to 12 inches thick. There was a slight warmup that broke the ice, but it froze again for nine days - Jan. 30 to Feb. 7. Tugboats occasionally cut a path down the middle of the river, but the ice just packed together again. Boat traffic was suspended from Jan. 25 to Feb. 2. It was the coldest January on record with an average temperature of 12 degrees (The normal average was 31.1). January 1977 also set that month's record for snowfall with 30.3 inches (the normal was 6). And the 1976-77 winter set a Tri-State snowfall record with 47.3 inches. But those snow records fell 12 months later. In 1978, what some called the worst blizzard in U.S. history slammed into the Tri-State and the Midwest on the night Jan. 25. continuing into the next day. It brought 6.9 inches of snow on top of 14 inches already on the ground. It also brought sustained winds of 35 mph with gusts up to 70, and temperatures that dropped to zero. It was a whiteout, a knockout punch. The Tri-State basically stood still, unable to move. Motorists were stranded and had to be rescued from highways. The airport was shut down. Even mail delivery stopped. The National Guard had to come in with bulldozers and tractors to make roads passable. January 1978 ended with 31.5 inches of snow, and the winter of 1977-78 finished with 53.9 inches. Those two winters – 76-77 and 77-78 - were the coldest and snowiest on record.